Check out my August 2018 Monthly Meal Plan here. September proved to be harder than I anticipated for meal planning. We had a weekend trip and some unexpected events that came up that made meal planning that much harder. I am learning to adapt to different situations, and even though we had some hiccups, I still managed to stick to my meal plan and stay under budget. This week on my Instagram, I did a complete video tutorial that walked you through every step that I take in my meal planning process. Not only do I show you how I pick out my recipes on Pinterest, but I tell you about the two deciding factors that I look for when choosing a recipe to use in my meal plan. Click the video below to be taken to my IGTV Channel to watch my video tutorial! In September, I had an accident with my Instant Pot which left me without my main kitchen appliance for a few days. I ended up dropping the lid on the ground and breaking the main seal component for the pressure cooking function. I decided to use my emergency savings to buy a new one because the piece that I damaged was irreplaceable and unfixable. That was just one hiccup that I experienced during September, but thanks to Amazon Prime two-day free shipping, I was back to meal planning in no time. I can’t function without my Instant Pot. It saves me so much time in the kitchen, and with my busy schedule, I can’t live without it. For the first week of September, we planned a weekend trip to a Seattle Mariners game. I saved enough money to cover all of our food costs while we were gone, and fortunately, we ended up coming back with a lot of our food budget cash. We had a couple of favorites this week, but the Meatloaf One-Pot Meal is one that I will be making again in the future. Not only was it really easy to make, but it turned out delicious! We also loved the Spicy Teriyaki Chick Thighs because it gave us three days worth of lunches for the week. For my first grocery trip in September, I ended up spending $85.77. I usually complete and finalize my meal plan every Sunday morning, and then make a grocery trip in the evening. My goal is to keep my weekly shopping trips under $100, so we have some cash left over for eating out. Remember, I only budget $400 every month, so the lower my grocery trip bills, the more cash we have for eating out or coffee runs. As you can see from my meal plan above, this was the week that my Instant Pot broke. We had to scrounge the kitchen for lunches, and we ate out more than usual. The recipe that I was able to make turned out to be one of our favorites, and I have highlighted the recipe in my binder to make again. I keep a lot of canned goods like chicken, tuna, and vegetables in the pantry for snacks or lunches just in case my meal plan backfires. I have learned to have a backup plan just in case we are unable to cook anything, so keeping things that have a long shelf-life helps a ton! For my second grocery trip in September, I spent $66.41. Like most family grocery trips, there are always things that I need to buy that are outside of my meal plan. My son loves Cinnamon Toast in the morning, so I end up buying a box twice a month. I had no idea that my Instant Pot would break during the second week of September, so most of these groceries were used to make my meal plan for the following week. For the third week of September, we didn’t end up doing any grocery shopping at all. The truth is, I got lazy and fell off the meal planning train. I have found that I have one of these weeks every month. 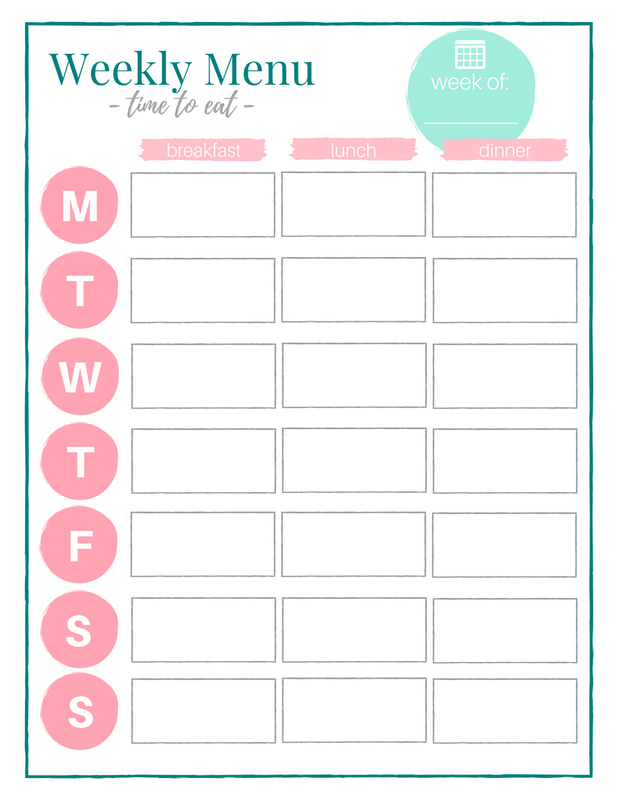 It’s a week where I struggle to keep up with my schedule, and because of this, I end up giving up on my monthly meal plan. We always find a way to make it work, and we keep things simple. We have hotdogs or frozen pizza, and I end up using things leftover in our pantry. A lot of you asked about my 20-minute Homemade Enchiladas that I managed to make for lunches. Even without making it to the grocery store, I still had three remaining chicken breasts in my freezer. I threw the frozen chicken breasts in my Instant Pot, shredded the chicken after it was done cooking, and added cheese. I made burritos with the shredded chicken and cheese mixture and used a can of red enchilada sauce that I had in my pantry. I layered cheese on top and baked in the oven for about 15 minutes. I didn’t use a recipe, I threw things together using ingredients I had laying around. It produced a massive patch of enchiladas that gave us lunches and dinners for the next two nights! When cooking my frozen chicken breasts in the Instant Pot, I set the pressure cooking function to eight minutes, and then do a natural release so that they come out juicy. I ended up making one of my go-to favorites during the third week – Tortellini Chicken Alfredo. I use this recipe during the weeks where I don’t have time to search or print out new recipes. It’s a household favorite that can be made in 20 minutes or less! For the last week of September, we found a new favorite. The Creamy Cajun Pasta with Chicken was delicious, and it made a VERY big batch. It gave us two nights of leftovers and enough for lunches the next day. I was worried about the spice level for my son, but it was surprisingly mild, and my son loved it. For the last grocery trip of the month, I ended up spending $62.53. This means that for all of my meal planning grocery trips, I spent $214.71 for the entire month.